October 8, 9 & 10, 1959. FASCINATED audiences spent two hours witnessing and wincing at spite, prejudice, hatred and bitterness at the Barn Theatre, Southwick, on Thursday, Friday and Saturday and left buzzing with interested comment. 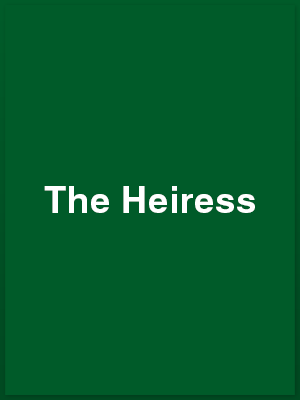 That they did so was proof of the Young Wick Players’ achievement in projecting the full impact of The Heiress, the provoking play by Ruth and Augustus Goetz. To do this called for distinct ability to grasp the play’s opportunities. The story concerns a wretched, ineffectual, but wealthy young spinster who is courted by waster. Opposition comes from father who believes the suitor loves his daughter’s money more than her. This plot in a New York setting of 1870, smacks of pure melodrama, but so long as the actors can write the message in letters clear enough, there is much more to it than the hack entertainment provided a past generation. The foundations of the success of this production were rewardingly cast on Jean Porter [The Heiress]. She had to generate the sensitive, retiring, genteel main character right up to and beyond her transformation into a twisted, bitter proud and inhuman creature. Her suitor [Adrian Hedges] trod the delicate high wire of his portrayal with precision, not making the one slip that would have established beyond doubt whether he was really after her money. His interpretation of the part allowed each member of the audience his or her own opinion, but the flavour of doubt was always there. The resentful father who loses his wife in childbirth is no stranger to audiences of this theatrical era and it credits Patrick Johnson that yet another appearance of this old faithful character was credible. It was his execution of the man who blamed his daughter for not being what he deemed her mother to be that treated the material from which the conclusion of the play was moulded. It was, perhaps, unfortunate for the rest of the cast that these three characters absorb most of the audience’s attention. Their buoying up of the play by dint of integrated support was not at all times in consciousness. This is a bouquet to their ability for had they not done what they did as well as they did, it would quickly have been noticed. Those who served so self-effacively were Frances Moulton, Elizabeth Penney, Patricia Menheneott, Patricia Holloway, David Dawson and Elizabeth Courtney-King. The play’s success is due in large measure to producer George Porter and his companions behind the scenes. The set, by John Perrett, was one of the best to adorn the stage of the Barn to date. THE Young Wick Players presented The Heiress, a some-what sombre play based on the Henry James novel ‘Washington Square’, at the Barn Theatre, Southwick, last weekend. It was excellently done, perhaps better than anything they have produced. John Perrett can be justly proud of the setting he designed; the costumes, some of them loaned to the Young Wick by the Eccles Repertory Company, were most tasteful, and were worn by the Players as if they were completely accustomed to them. Jean Porter gave a finely controlled and sensitive performance as Catherine, skilfully tracing her slow evolution from the shy, dull and gauche daughter of a domineering father, to the hardened, somewhat embittered and completely self-possessed young woman who calmly bolted the door against her worthless suitor, leaving him to knock and call for her in vain. The suitor, Morris Townsend, was played in a suave and assured manner by Adrian Hedges while Frances Moulton made Lavinia Penniman, Catherine’s Aunt and confidante, a fluttering and cheerfully efficient person. This rather novel reading of the part was a pleasant and refreshing one, providing a much needed touch of lightness to the play. The finest individual performance came from Patrick Johnson as Dr Austin Sloper. This is a rewarding part and full of opportunity but calling for a high degree of ability. That he tended to be over-dominant at times which threw the play somewhat out of balance, must be marked against producer George Porter: rather than the actor. To be a first class producer calls for considerable experience and knowledge, and I have no doubt that George Porter has learned a lot from directing this rather difficult play. I should like to give a little word of praise to Patricia Menheneott for her study of Maria, the parlour maid. Mrs. Elizabeth Almond and her daughter Marian were competently played by Elizabeth Penney and Patricia Holloway, as were the parts of Arthur Townsend and Mrs. Montgomery by David Dawson and Elizabeth Courtney-King. A SUPERLATIVE piece of acting by Jean Porter raises the Young Wick Players’ current production of Ruth and Augustus Goetz’s The Heiress at the Barn Theatre, Southwick, to a high level. She plays the part of Catherine, the sheltered daughter of an American doctor who, having lost his wife when she gave birth to the girl, seeks his wife’s perfection in her flesh and blood, but cannot help but find flaws. When a handsome young man named Townsend sets his top hat at the girl and she becomes engaged to him, the egotistical father promptly threatens to disinherit her form a fortune, fearing the suitor is inspired not by love but by lucre. Catherine who has been starved of a man’s love all her life, cannot let herself believe Townsend’s intentions are so mean and she agrees to elope with him. But her love changes to bitterness and an abysmal sense of loneliness when he jilts her at the last moment. Two years pass. Then one day Townsend, who has returned from an unsuccessful search for wealth in other parts, calls on Catherine in the hope of rekindling the old flame. He is too late; the fire has gone, and in its place a desolate coldness reigns. This adaptation of a Henry James novel is capital theatre and the Young Wick Players’ production has much to commend it. Above all Miss Porter’s portrayal of Catherine is remarkably fine and well sustained. She is a most impressive actress. Patrick Johnson gives a powerful and convincing performance as the father; Adrian Hedges does extremely well as Townsend; and Frances Moulton contributes a sympathetic portrayal of a kindly aunt. There is also good acting by Patricia Menheneott, Patricia Holloway, Elizabeth Penney, Elizabeth Courtney King, and David Dawson. The play is produced by George Porter.